Sure, I could mimic the Lycra-clad racers who would be battling it out at the front of the pack and ride a thoroughbred cross-country race bike. But that didn't really seem to fit with my preference for baggy kits and flat pedals. Conversely, I wasn't too excited about the idea of trying to pedal my coil-sprung, 160-millimeter-travel all-mountain bike, either. I wanted the best of both worlds. 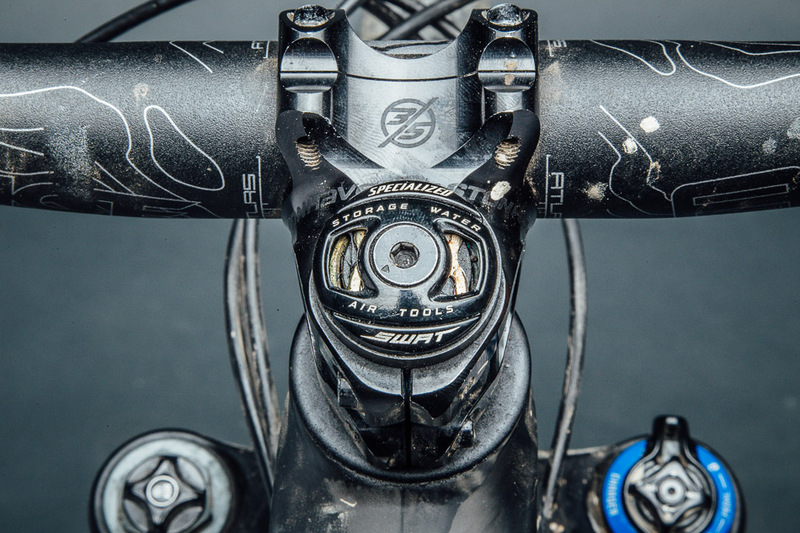 After agonizing over the ‘what ifs,’ I landed on the Specialized Stumpy 29 as the bike to give me the perfect mix of pedaling prowess and descending power. What was the deciding factor in choosing the Stumpjumper over so many other capable bikes in its class? For me, it all came down to the S.W.A.T. system–the array of storage solutions Specialized builds into the Stumpy. I wanted to get as much weight as possible off my back, so I could focus on all the amazing B.C. singletrack we would be lucky enough to ride every day. In addition to the multitool and chain breaker with a spare link cleverly tucked away in hidden spaces on the bike, the S.W.A.T. box in the downtube sealed the deal. 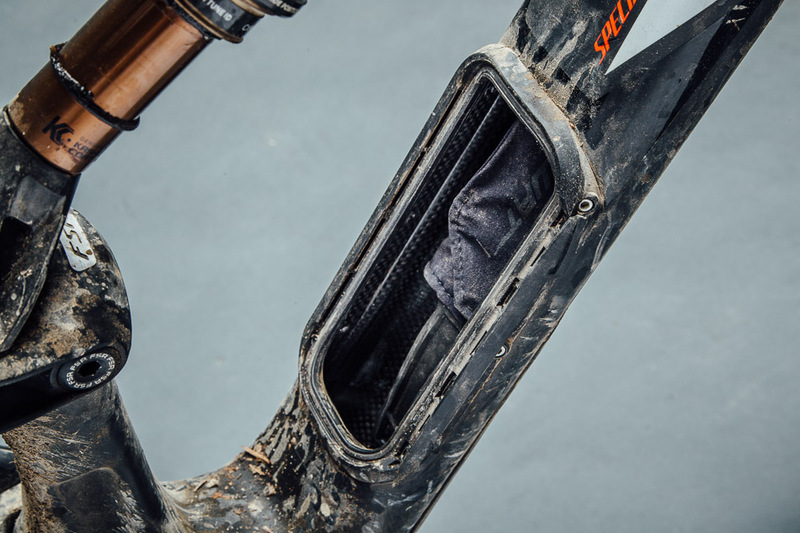 I packed it to the max with a spare tube, pump, CO2 cartridge, zip ties, food and the mandatory Fox 40 whistle and emergency blanket that all racers are required to carry. I had nothing on my body apart from some gels, bars and a spare water bottle tucked into my bib shorts. That was more than enough to get me to each aid station every day, and not having to pack as I would for an epic adventure allowed me to ride like I do on my casual rides back home. As one would expect, the S-Works Stumpy comes with a stellar build kit, but I made a few changes to suit my riding style. For starters, I opted to change out the cockpit for a Race Face Atlas bar and an Easton Haven 35-millimeter stem. At 800 millimeters wide and with a 35-millimeter clamp diameter, these aluminum bars offered a short-and-wide stance with precise handling characteristics. If I had one piece of advice for those riding a stage race it would be to get some colored grips. 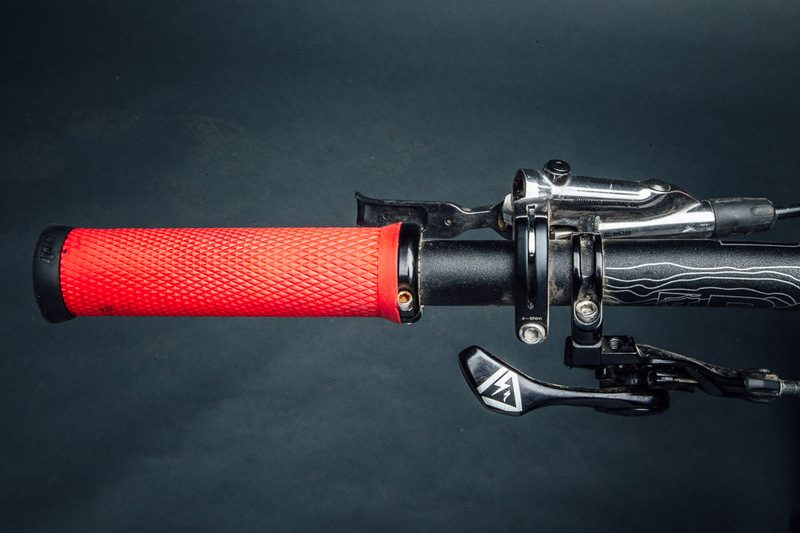 It sounds trivial, but when you're looking at an endless sea of hundreds of bikes on the racks in the morning, colored grips are the key to spotting the one that belongs to you and getting on with your pre-ride routine. In this case, ODI’s Elite Motion lock-ons offered comfort and control with their offset padding design. Additional padding where your hands have the most contact with the grips adds a hidden element of comfort into this slim, single-clamp design. You can almost certainly count on rain during any trip to coastal British Columbia, and this year’s BCBR was no exception. One of my all-time favorite front tires in wet conditions is the Maxxis Minion 3C. On the rear, I gambled on a new tire from Maxxis–the Aggressor. 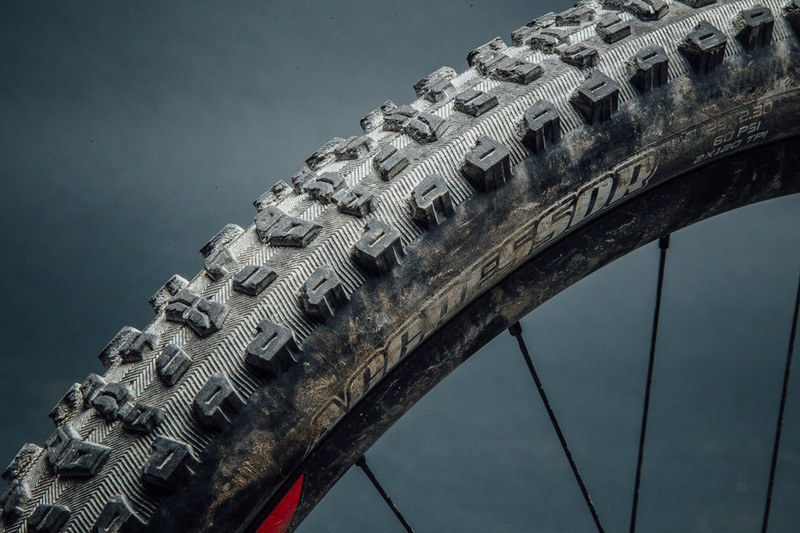 With Maxxis’ Double Down casing in the rear, combined with the 30-mil inner width on the Specialized Roval Traverse SL 29 rims, I was able to run low pressure for endless traction on the wet roots and rocks, but still had ample sidewall support. I didn't have a single flat or even a hint of lost tire pressure over 13 days of racing. Much to the amazement (and sometimes dismay) of my more cross-country compatriots, I rode both races–a combined 500-plus kilometers (310 miles) with over 57,000 feet of climbing–on flat pedals. 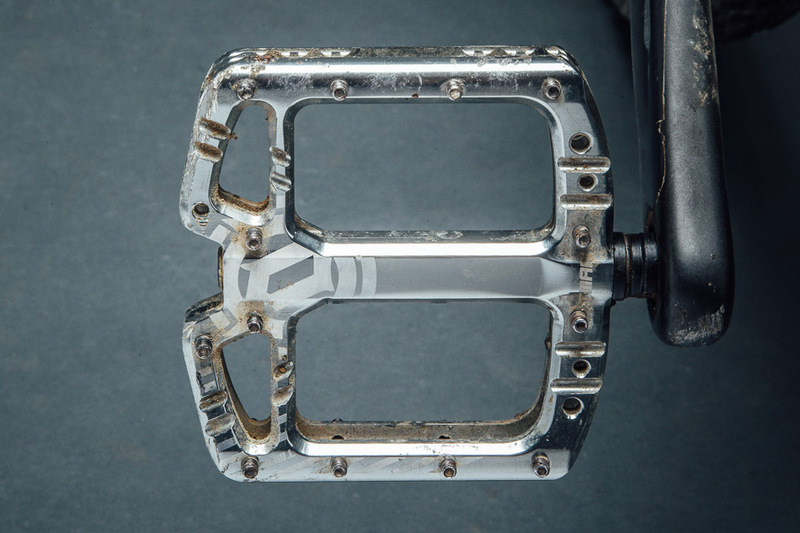 With their large platform and concave profile, Deity’s T-Mac pedals offered stability and control that was second to none on the trail. I'll admit that I wasn't very excited about riding Fox's custom-tuned Autosag rear shock on the Stumpy. I wanted to hate it–especially knowing that our editors have had inconsistent results with it in the past–but ultimately I had to let go of my tinkering tendencies and accept that, at least in my case, it actually works pretty well. 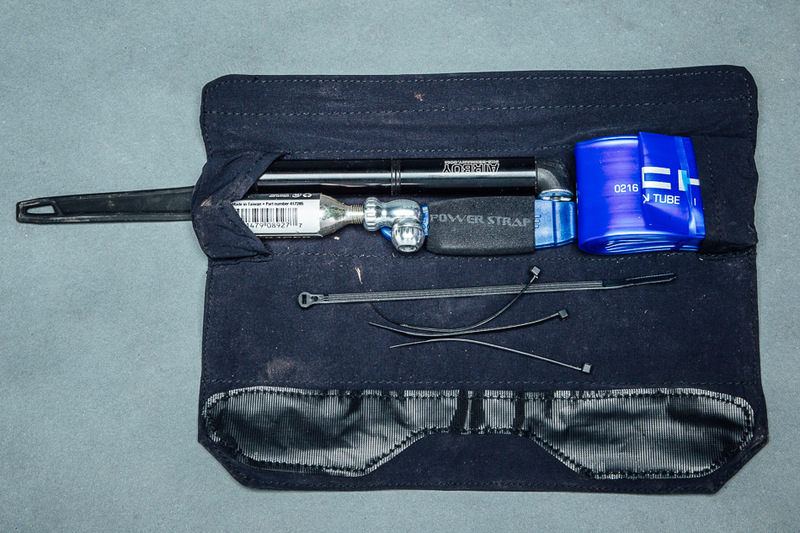 If you've been riding for ages and have your shock-setup routine down to a science, you'll probably be a bit annoyed, but Autosag is undoubtedly a great way for riders who are less confident with their set-up skills to get the most out of the FSR linkage. When it was all said and done, I only ever adjusted the air pressure in the rear shock once during the initial setup and was able to forget about it for the duration of both events. 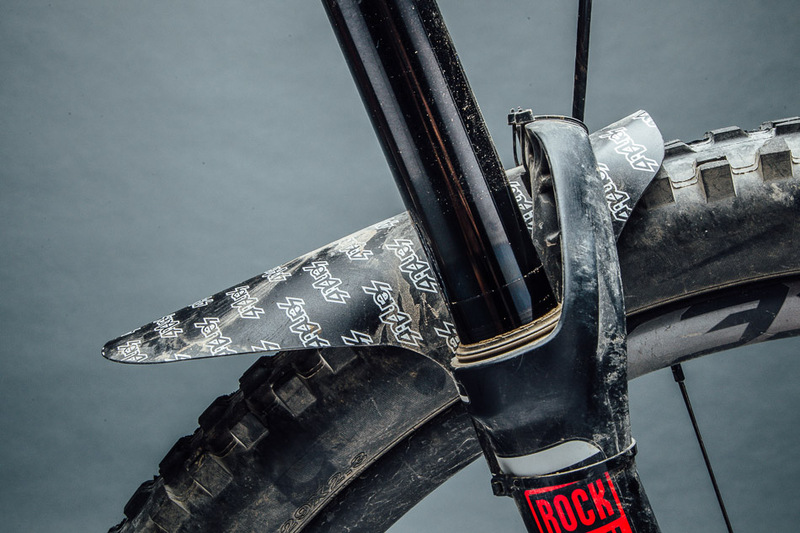 I added an additional Bottomless Token to the stock two-token setup in the RockShox Pike RCT3 up front. That extra ramp-up support wasn't necessary on most terrain, but left me with no excuse not to lay off the brakes and push the pace when we were treated to B.C. 's most challenging terrain. This was never more evident than on Day 5 of the Singletrack 6, when our timed descent for the day took us down a section of the legendary Mount 7 Psychosis course. Steep, loose and rough, the terrain showcased the potential of the 140-millimeter-travel Stumpjumper. Even though I was pushing myself to the limit, I couldn't push past the limits of the Stumpy. Its descending capabilities are incredible for a bike that climbs so effortlessly. It's a bike that works in harmony with all its angles and travel, never seeming like it's too much or not enough of anything. Perhaps my kit was a bit unconventional for a stage race, but for people like myself who unapologetically ride whatever they'll have the most fun on, it was the perfect choice.